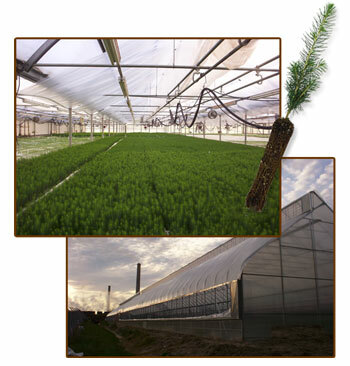 Itasca Greenhouse grows 2-3 million containerized tree seedlings in three crops per year. With our greenhouses utilizing co-generation heat from our local power station, and with our management efficiency, we are able to produce high quality containerized seedlings at low cost. In business for over 30 years, Itasca Greenhouse has grown to be a nationally known, trusted source for hardy containerized tree seedlings. Our nursery is nestled in the woods of northern Minnesota, near the banks of the mighty Mississippi River, so our tree seedlings are hardy enough to withstand our beautiful but cold winters. In addition to our northern hardy conifer and hardwoods we also have some varieties that grow well for our warmer neighbors in the southern United States. Plug seedlings offer many advantages including high survival rates, longer planting season, increased flexibility of planting schedule, and no planting check since the roots are protected in the soil plug and are planted with roots essentially undisturbed. Custom and contract growing services are available to our customers who want specific trees grown. Itasca Greenhouse will no longer be directly involved in promotional seedlings. Our subsidiary company, The Greenworld Project will be handling all of this as they are currently set up to do specifically that. The Greenworld Project will continue to provide trees from Itasca Greenhouse and carry the same products and services that we have carried in the past, along with a wider variety of products that are suitable for many different applications. 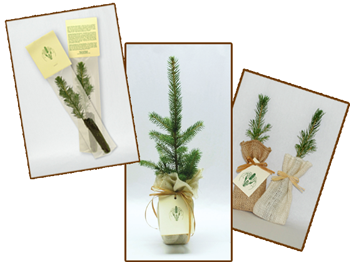 You may visit that website to view products and pricing at www.greenworldproject.net. Check out some of our popular species!